It's such a sinful Sunday that I am blessed with delicious Japanese Food at Haru Tei. Richie, the manager at Haru Tei welcome us with a warm smile. 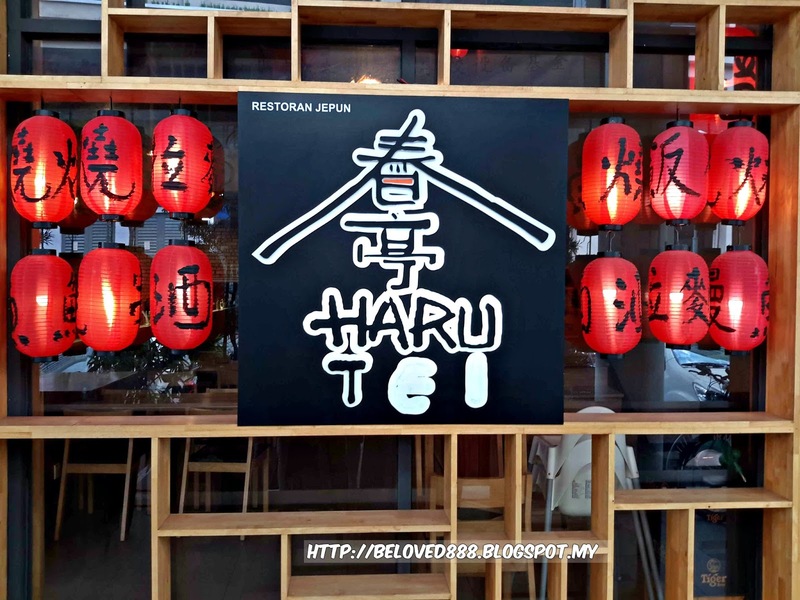 Haru Tei serves Yakitori, Donburi, Udon and array of Japanese cuisine. We're treated to top notch food prepared by Haru Tei capable chef. 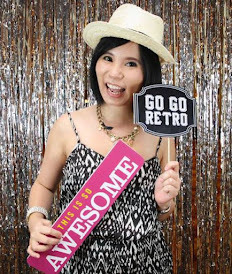 I love the ambience environment at Haru Tei. 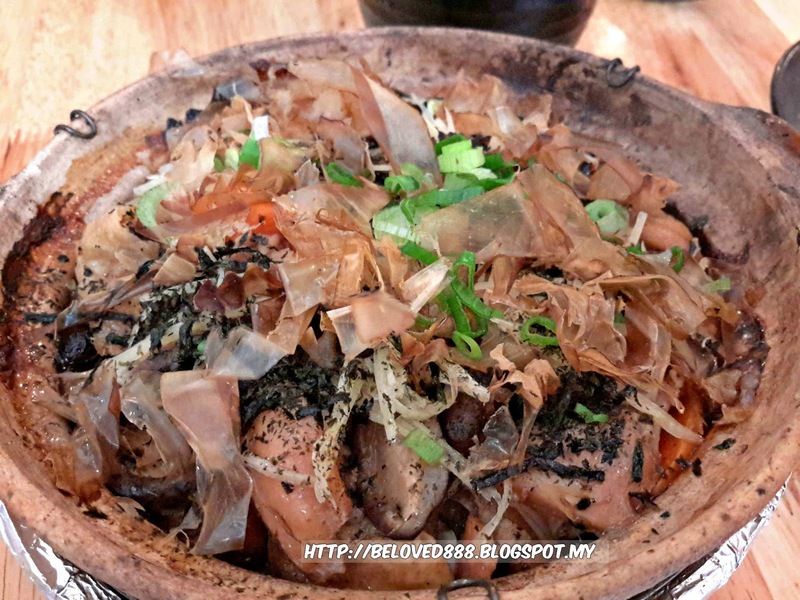 Haru Tei well know for their claypot rice and recommended by the chef. Kamameshi Claypot Rice garnered a good feedback and the dishes is unique to me. The rice is cooked to perfection in a claypot and the chicken is fresh and juicy. 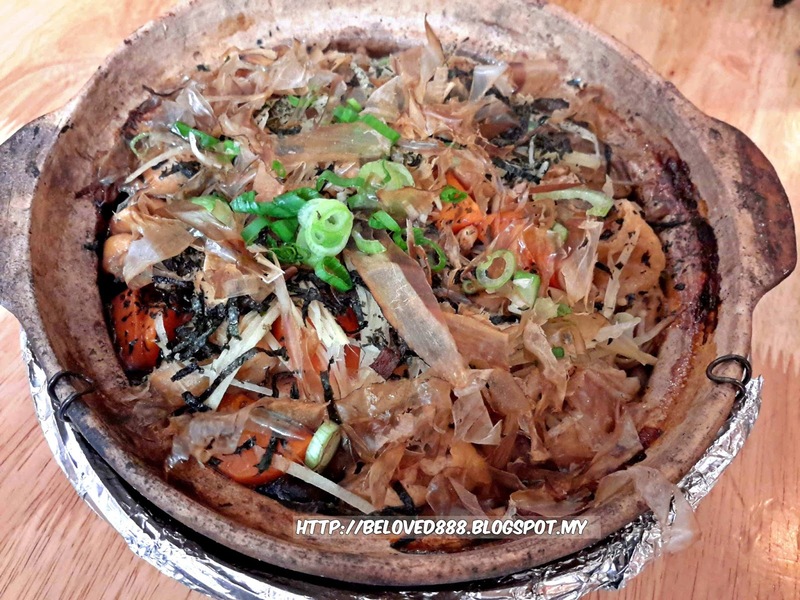 You can smell the layer of aromatic crust rice and it does not burnt at the bottom of the claypot. The Ramen set lunch attract my attention and the price is affordable. You can choose your preference soup to pair with the Ramen. Secondly, choose your topping and I prefer Chasu (pork belly). 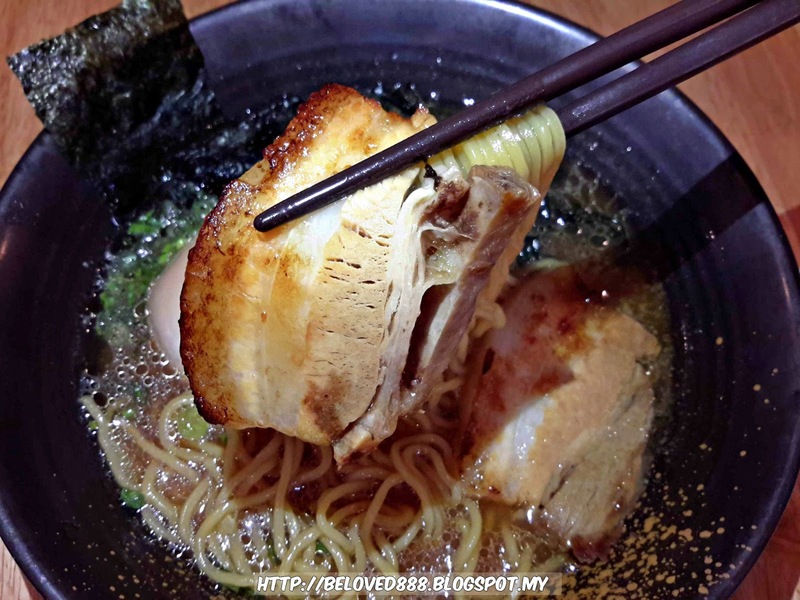 The Ramen is firm and it is a perfect texture when paired with Shoyu soup and the topping. The generous portion make the bowl of Ramen more well worth for money. My hubby loves their pumpkin Korokke and he gives a thumb on it. The pumpkin Korokke is crispy from the outside and soft from inside. 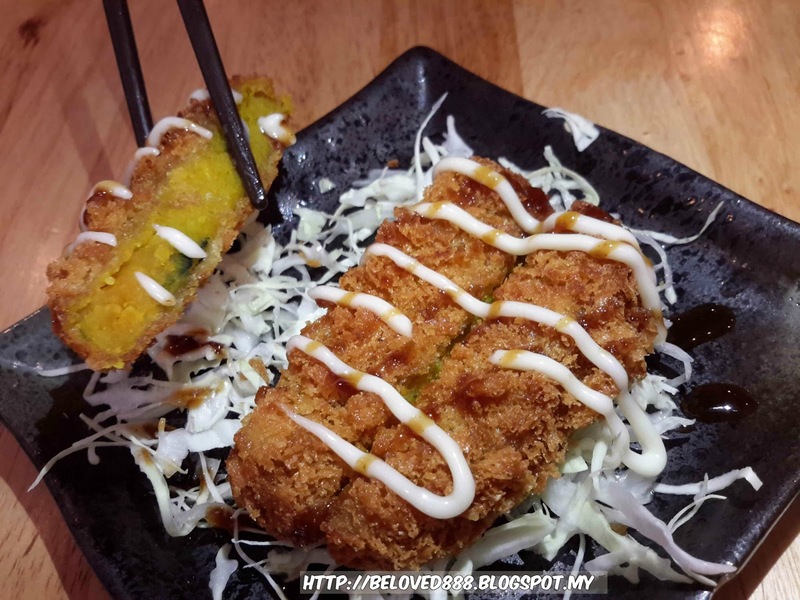 You can taste the sweetness of the pumpkin and recommend to try for their Pumpkin Korokke. If you are a fan of Yakitori, you should give a try on their Yakitori. Yakitori only available from 6pm to 10.30pm. Let's go through exciting gastronomical adventure of their Yakitori. 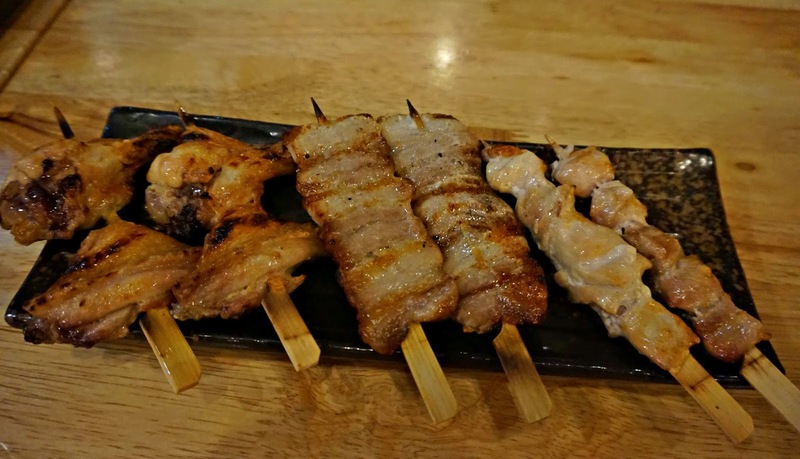 Succulent skewered meat: Yakitori offers a unique varieties. Bara (pork belly) is tender and juicy and offering a mouthwatering crunch. Give a try for Momo (Chicken Thigh) and Tebasaki (Chicken Wing) as both taste absolutely amazing. You will definitely love their grill Ika and the portion is big. 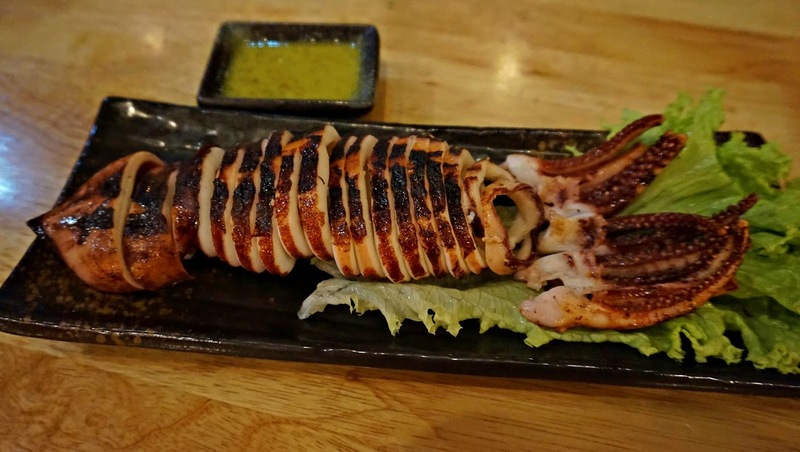 The grill giant squid is fresh and chewy texture. The grill Ika match perfectly with Haru Tei homemade chili sauce. 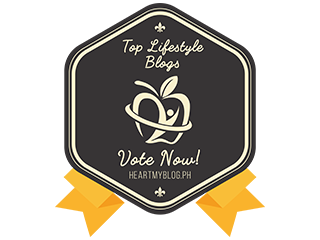 Overall I love the food that serve by Haru Tei and enjoy the food so much. 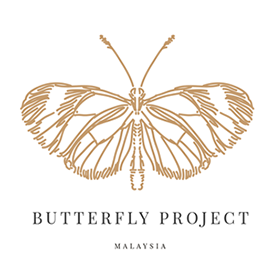 Is time for GIVEAWAY.....I will be given RM50 cashy voucher from Haru Tei to one lucky winner. A simple step to win this cash voucher. 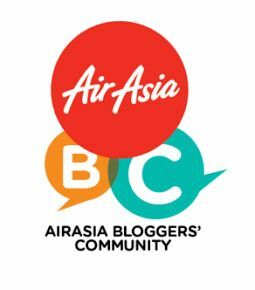 4) Leave your comment " Why you want to win this cash voucher? ".